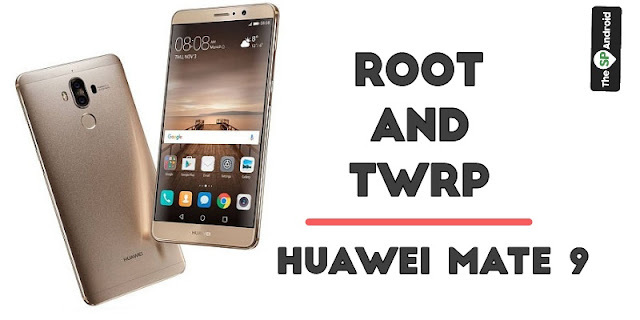 How To Root & Install TWRP On Huawei Mate 9 - Root and TWRP is now available for Huawei Mate 9 smartphone. It got a functional TWRP with some limitation but you can get root access after flashing phh's supersuser (super user alternative because superuser is not tested yet) via TWRP recovery. This TWRP can be flashed on all version of Huawei Mate 9. It was tested on Huawei Mate 9 Europian version MHA-L29. Contributor Tkkg1994 was able to port TWRP 3.0.2-1. WARNINGS• Flashing TWRP will need a unlocked bootloader and bootloader unlocking process will wipe/format/delete all your data/internal storage . So Before proceeding to flashing guide make sure to backup your data. According to the TWRP Maker he has not yet fully tested the problems of dm-verity v2.0 introduced in Nougat. So as long as you don't need to modify /system, keep it read only. If you want to edit something inside system, make a backup until He can tell you more about it. 1.Call Huawei in the HiCare app, request the bootloader unlock code there you have to give your email, IMEI, serial number etc. 3. Plug in your phone and make sure all huawei drivers got installed. 4.. Enable developer options in settings by going to setting > about > Tap Build no. 10 times. 6. Open the adb tool you installed recently. 9. This step will wipe all your data! 10. Ones it's done type: fastboot reboot. Your phone will reboot and you have an unlocked bootloader! 11. You can now go on installing TWRP on your device in next Steps. 1. Make sure you again enabled OEM unlock and USB debugging in settings, because your phone just have just reset by bootloader unlock you have to enable it again. 2. Download the TWRP recovery from below. First method• type: fastboot reboot-bootloader while connected to pc. 9. Enjoy your new twrp. 2. Download latest official phh superuser zip r275 version. 4. Boot into twrp and flash the downloaded file zip from external Sd card. 5. Now reboot to system. • Encryption is not supported yet!